Primal Fly Rods are the newest brand from Manic Tackle. They deliver a high premium performance and finish quality at an affordable price. They’re ideal for anglers looking to upgrade from an entry level package. At the heart of all Primal rods is a helical core of Nano matrix prepreg. As well as making the rods strong, it means they cast a very smooth, tight loop with very little tip bounce and exceptional tracking. Casting is smoother and more accurate. The award-winning RAW freshwater series of rods are lightweight and fitted with customised machine cut skeletal reel seats with double locking rings and stabilised timber inserts. The stripping guide is a titanium-framed SIC and the guides are custom light wire single foot guides. The rod actions are fast while still maintaining enough feel to drop a tiny dry at close range off the rod tip. 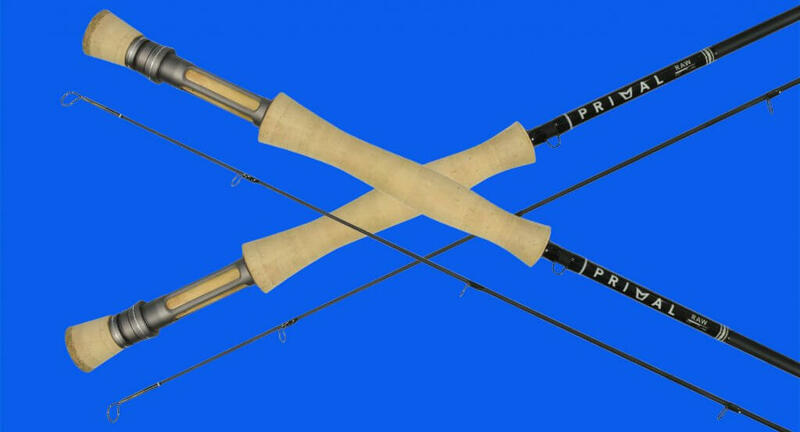 The RAW freshwater rod range includes an 8’6” 4wt, with 9’ 5wt, 6wt, 7wt and 8wt, all 4-piece.